UPDATE 8/18/2016 - Microsoft announced SharePoint Framework Developer Release. SPOILER: at the end of this post you'll be able to run a web app that is provided by Yeoman generator for SharePoint. But as of now (6/2/16) it's a simple web app based on Grunt for build and Mocha/PhantomJS to run. So you won't see Client Web Part deployed to SharePoint Workbench (I think that Microsoft should update the generator soon). Still this post may be useful for people who didn't work with Node.js and front-end stacks. Here I want to provide all the steps you need to run build and run your first SharePoint Framework project on Windows machine (it's really easier on Mac). You can find some steps here but after following them you won't be able to run the project (or even compile/build). 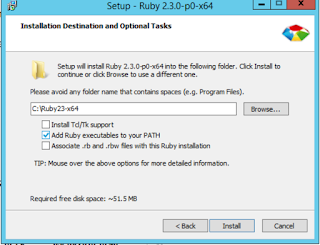 Install Ruby using RubyInstaller. 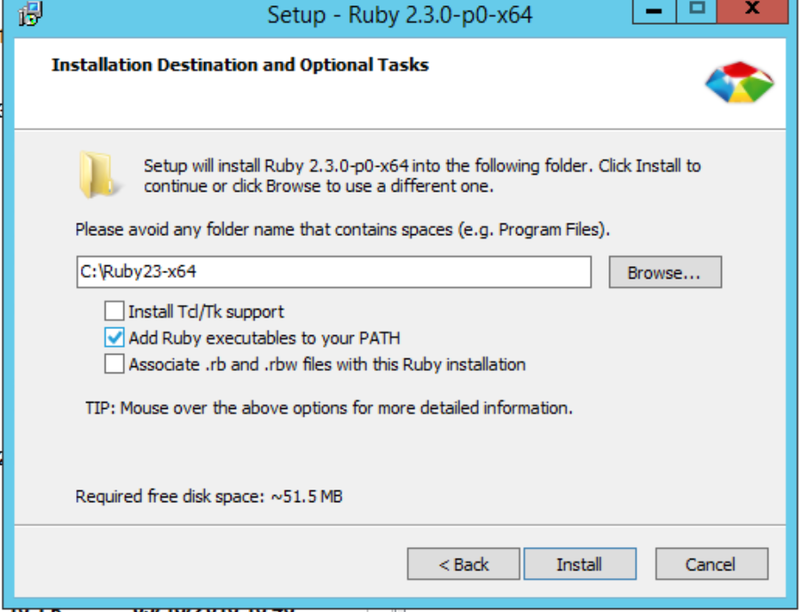 Select "Add Ruby executables to your PATH"
I thought that after all these actions I will see something similar to announced SharePoint Workbench. But for now it looks like some stub (Yeoman template is a stub) that shows simple html page that has nothing of SharePoint. I will try to update this post if something new appears.